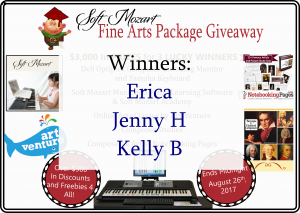 Soft Mozart, ArtVenture, Enrichment Studies, and NotebookingPages.com are giving you the chance to win one of these 3 incredible Fine Arts Packages. We are giving away over $3,000 in prizes. No purchase necessary. Register Below and we will draw the winner on August 27, 2017. 1. Enter your name and email and then press ENTER to win. 2. After you enter, you will see a link to share this contest for more chances to win. Five chances for ﻿﻿every ﻿﻿person who enters using your unique link and three more chances for shares on Facebook, Twitter and Pinterest. 3. The more you share the more chances you have to win. 4. Contest ends at 11:﻿59 ﻿pm Central Time on August 26th. 5. Prizes will be shipped to US Postal addresses only. One Year of Soft Mozart Piano and Music Learning Software pre-installed on the computer. 1 Year of the Soft Mozart Academy with lessons created by Hellene Hiner, Professor at Herzen State Pedagogical Universty of Russia. One year of on-line art classes at ArtVenture. 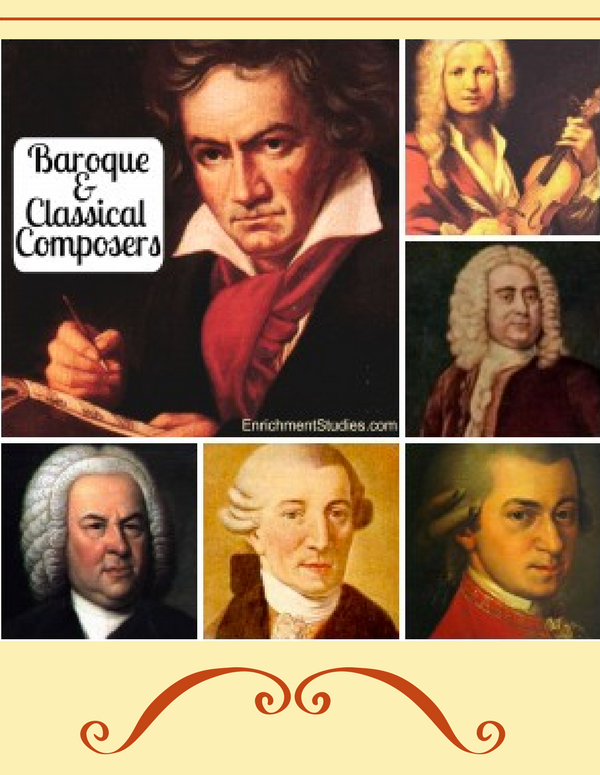 The Baroque and Classical Composer study Resource by Enrichment Studies. 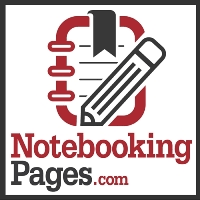 Famous Artists and Picture Study and Famous Composers and Listening Pages from NotebookingPages.com. 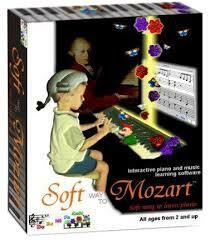 One Year of Soft Mozart Piano and Music Learning Software. Over $300 in freebies and coupons for everyone who participates! 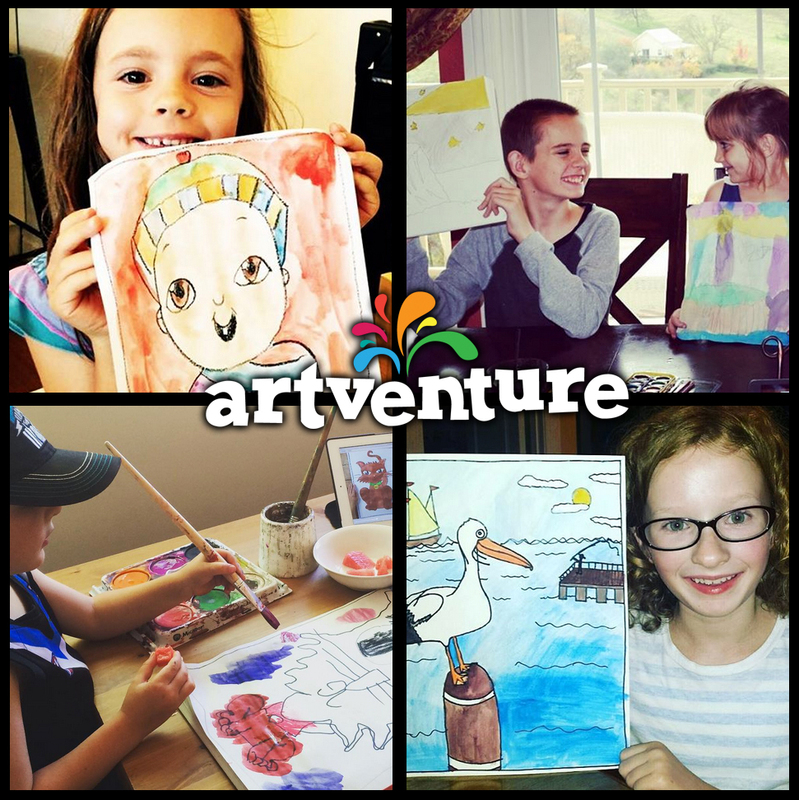 ArtVenture is an online library of children's art classes. With over 285 lessons and a new lesson added every week, there’s always lots of fun to be had! "We LOVE Artventure! Kids ask to do something new every free moment they get! Love, love, love it!!! Enrichment Study Baroque and Classical Composers make it easy for you to introduce your children to classical music and composers inexpensively and without spending a ton of time tracking down the information yourself! Enrichment Studies helps homeschool families experience more beauty and joy in life by easily including more fine arts in their home! Composer Study, Artist Study, Poet Study, Art Appreciation, and more are available. I want to thank you so very much for all of the detailed and extensive unit studies that you offer!!! I used the Johann Sebastian Bach in the fall, and next month I will be using the Ludwig van Beethoven from your composers set. . .These have been such a wonderful extension to our fine arts portion of our homeschool. Thank you for all of the artists’ freebies, too. Your site has a wealth of educational and fun ideas. Are you tired of . . .
Chasing after the perfect curriculum? Comparing yourself to other homeschoolers? Worrying if your kids measure up to educational standard? Notebooking is a way to to help your children pull together what they are learning and document it. Say NO! to the busywork, burnout and overwhelm. ​When we notebook our studies, quite frankly, the knowledge STICKS. Lightbulbs click and eyes shine! We have a growing treasury of their homeschooling journey.